Job search is a tedious task for a student, who wants to do something for his pocket expenses or permanent. Here I would like to share my views and tips, which I felt during searching for the job in the private sector after my graduation. Numbers of sites are available to provide the job, but I felt that 3 to 4 are working best and help to search the full-time jobs for the new guy. For the time being Part Time Job is not bad for surviving too. Here I shared the details about the site, which are best for national and international job search. When I passed the graduation I created my resume with the help of the computer (in the word). Take the help of resume making experts. I pay money for that. Now my resume was well equipped with tools like academic qualification, technical skills, extracurricular activity, experience (when switched my job), contact details and address. Just uploaded my resume in the job portal and started to apply for the job in my location. I received several calls from companies and chosen on-of the best to start my career. That was the Limited company with a big banner. Below given best 3 job search portal are helpful to get the online job for the student without registration fees. 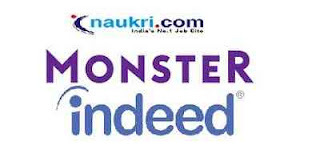 Naukri.com – This is the best job searching tools available on the internet. This site will be helpful to the new student to develop a world-class resume through paid services as well as provide great features and assistance to published resume online. I have used these authentic tools during the switch to the company. You can use the “Register with us” option for registration with Naukri. Fill all the details and uploaded your resume to apply for the job. Monster.com – Monster.com is one of the best portals to search job. The function is similar to Naukri.com. Their numbers of services are based on payment mode. Timesjob.com – Timesjob.com quote is ‘Your career enhancement officer’. Basically, it is very helpful to find a job. Create your profile by register option and upload updated resume online and start applying for the job. Sure you will get your dream job. Indeed.com – I did not use this site like above there, but to search the local job, it is good for you. It is very easy to uploaded resume on this site. You can try to it, as additional tools for job searching. Tips And Tricks To Search Job Online Without Registration Fees. If you are fresh and want to search the job, fill the all column properly as per demand. Now update your resume and upload in the portal. Here you will have to be very careful to put the keywords in search column, like – MBA from University with 1 Yrs. Experience In Sales. The site will provide the example that how you can set your keywords to search the job. So follow the rules and get maximum exposure of your resume online. If you are an experienced person and want to switch the company. Just update your resume 2 to thrice time in a week. That will help to get the maximum view of your resume to recruiter online and call receiving ratio will improve. I have used these tools several times to get the job and successful every time. I can share three to four job portal for you, but chosen the best 4 for you because these are tested and trusted for the student. These are the best platform for student to get the job by placing the application online through the portal.